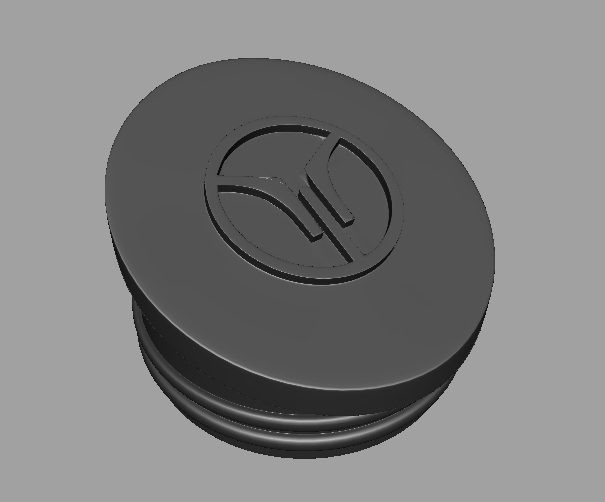 Takhion Headset Cap Recreation: First Attempt : Bikes. Rants. Adventures. Being that this was one of the first weekends I've been home BOTH days, I actually had some time to accomplish a few things I've been meaning to take care of, all while drinking copious amounts of caffeine. There was a project I've been itching to tackle, and while it's bike related it's a bit different from anything else I've done. Many of the Takhions that I love so much came with a cap to cover the special headset, protecting it from the elements and offering a nice seal that can be easily removed to service the bearings. One the caps I've seen in better condition. This one still fits properly and it's too beat up. 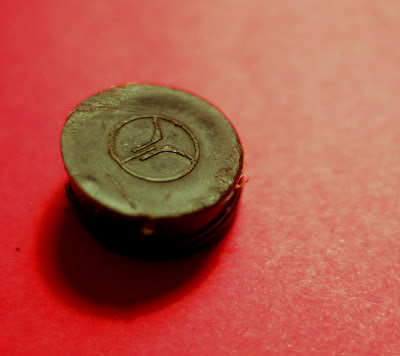 Lots of these caps are either missing or damaged, some to the point where they are no longer functional. The cap on my Takhion Temp has seen some seriously better days, and falls out of the frame every time it's put in. Many more of the Takhions I've come across has no cap at all, exposing the headset and allowing the elements to get inside the frame. To make a long story short, I had wanted to figure out a way to make some new caps. A mold wouldn't work since the caps I have aren't in the nicest condition anyway, and I would need the right material. Suddenly, a coworker of mine started talking about 3D printing, and I realized that with current technology it might be the perfect medium to replicate these caps. So I set to work last night with more caffeine, some calipers, and terrible modeling skills with an attempt to recreate the cap in correct scale. 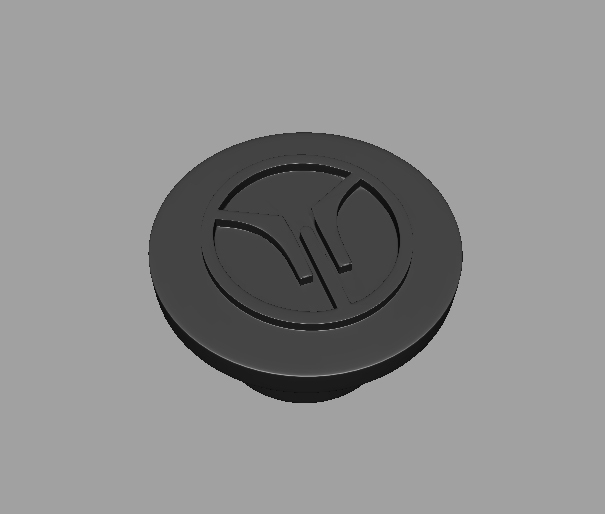 I won't go into the 3D modeling details, but a few hours later, I had something. No wireframe, because it's shameful and it's not being deformed anyway. I cleaned up the geometry according to Shapeway's specs, and submitted the model hoping it would pass the initial tests. To my surprise it did, and also to my surprise, I had the option to print it in black, flexible plastic - a material that very closely resembles the original. Feeling optimistic, I grabbed the calipers again and did another design. This one was much easier. It's a bit difficult to tell, but it's a handlebar end cap for the original Takhion bars. I don't know if it was actually a thing (I have sort of a vague memory of maybe seeing these sometime back), but I figured it would be nice to have some. If these work, I'll modify them and make some that work with brake cables. The models go through one more test to make sure they are printable, and then will be printed and delivered...hopefully looking good. Most likely I will have to make adjustments to the measurements and tweak a few things, but it would be awesome if this worked. These should be shipping out sometime in mid June, so more updates then.